November 19, 2018 - Thanksgiving has become one of the deadliest times of the year on America’s roads, according to the National Highway Traffic Safety Association. According to AAA, a major factor is “Thanksgiving Eve” partying. From 2012 to 2016, more than 800 people died nationwide in alcohol-impaired-driving crashes during the Thanksgiving holiday period (6 p.m. Wednesday to 5:59 a.m. Monday), making it the deadliest holiday on our roads, according to the National Highway Traffic Safety Administration (NHTSA). During a similar five-year period, 45 people lost their lives on Oklahoma roads, according to the Oklahoma Highway Safety Office. It reports, some 30% of all fatal crashes in the state are alcohol-related. That jumps to 35% during the holidays. Host a mocktail party or friendly contest. Have guests bring their own drink creations sans alcohol and select judges to taste test and score. AAA recently hosted a Mocktail Mixoff with nine bartenders entering their most creative recipes for a chance to win $2,500 in cash prizes. Winning recipes are posted at AAA.com/mocktail for those who want to prepare a championship drink. 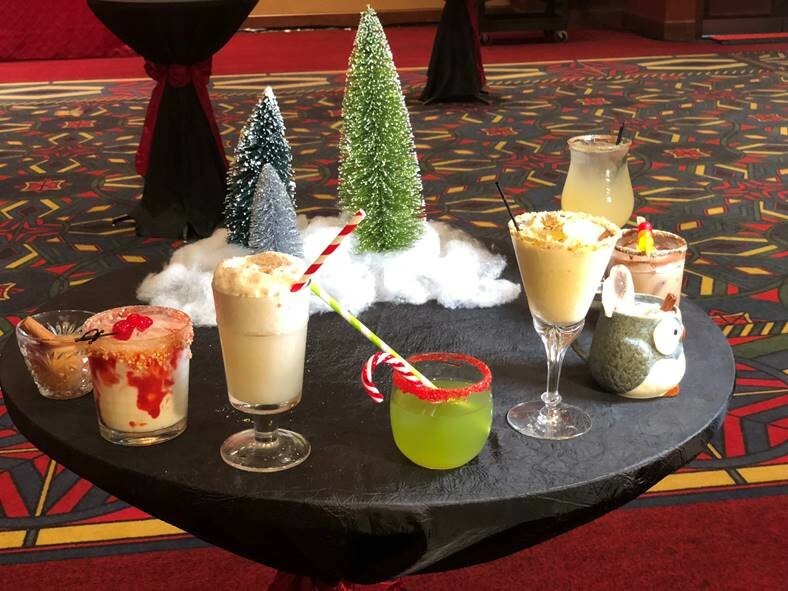 If you’re hosting a holiday party and not inspired to ask guests to bring mocktails, AAA urges you to be sure to “be good for goodness sake” and have festive non-alcoholic drink options available for your guests and those serving as designated drivers. Get sober before getting behind the wheel. Only TIME works – not coffee or cold showers. It takes about 1 hour to burn off an average drink. Five ounces of wine, 12 ounces of beer or 1 ½ ounces of liquor all contain about the same amount of alcohol. Call a ride-share service or cab for a friend or yourself if even minor alcohol impairment is evident. Also consider downloading NHTSA’s free SaferRide mobile app. It allows users to call a taxi or a predetermined friend, and identifies the user’s location so the user can be picked up.